In the first public talk of the Kenan Institute’s spring semester Sylvia Chan-Malik (Rutgers University) shared work from her recent book, Being Muslim: A Cultural History of Women of Color in American Islam. Duke Islamic Studies Center director, Omid Safi, characterizes it as a “broader, more creative, and truthful” framework for understanding the ways that Muslim women have contributed to America’s cultural heritage. 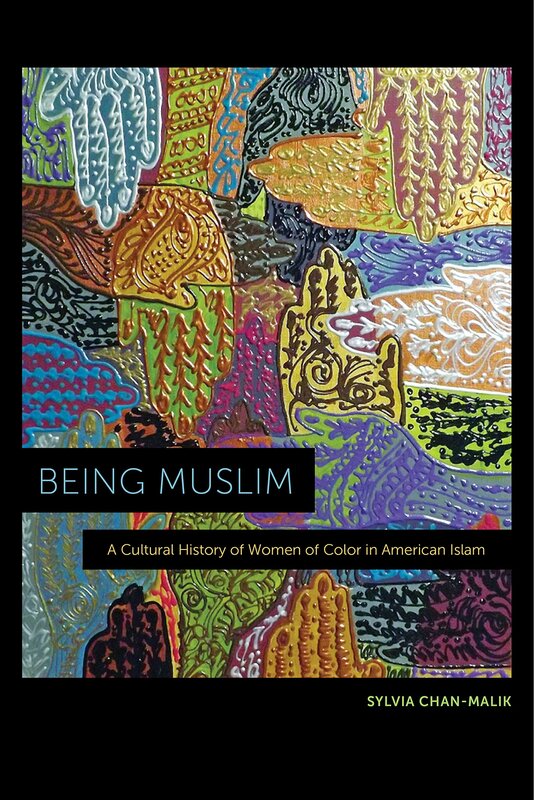 Dr. Chan-Malik’s ethnographic and narrative research into the lives of contemporary American Muslim women of color is grounded in the historical “Blackness” of Islam in this country. In her talk, she focused on the work and perspective of three women: Sister Sonia Sanchez, a noted African-American Muslim poet in the 1970s; Maya Blow, a classical homeopath and organic farmer and co-owner of Soul Flower Farm in the Bay Area of California; and Baldwin Scholar and Kenan Institute alumna, Nourhan Elsayed (Duke 2016). Each of these woman, Dr. Chan-Malik argued, has lived Islam “insurgently”: courageously calling out and confronting everyday manifestations of racism, patriarchy, and Islamophobia. Sister Sonia Sanchez writes black women into the Muslim story of creation in her poetry, proclaiming that they were “created from the limbs of Allah.” Maya Blow conceives of Islam as “a place to go back to…where I have a foundation” when overseeing the organic farm that provides for over 90% of her family’s food needs. And Nourhan Elsayed, writes eloquently of “feeling Muslim” for the first time in her life at Duke following the wave of anti-Muslim sentiment unleashed after the call to prayer controversy and the murder of three UNC-CH students in 2015. Importantly, Dr. Chan-Malik explained, the social commitments and calls for justice enacted by these women cannot be dismissed as merely “political.” Rather, the spirituality of Sister Sonia’s lyric elevation of women and Nourhan Elsayed’s turn to prayer while she calls out anti-Muslim propaganda reveal the embodied faith and religious practice that supports American Muslim women in the face of multiple pressures. The audience, invited by the Kenan Institute’s Religions and Public Life initiative and the Duke Islamic Studies Center, enthusiastically embraced the idea of reclaiming American Muslim women’s strength and ingenuity from older narratives that diminished them. One student said she was inspired by Dr. Chan-Malik’s multi-faceted and diverse portrait of Muslim women, having felt “flattened” by more patriarchal narratives in the past. Dr. Chan-Malik’s talk “Being Muslim: Women of Color in/and American Islam” is part the Global Muslims series cosponsored by Religions and Public Life at the Kenan Institute for Ethics and the Duke Islamic Studies Center.